I’ve been busy at work recently. Really busy. So I haven’t done much writing or blogging or tweeting or anything like that. All I’ve really had headspace for over the last couple of months has been working, worrying about my daughter’s GCSEs (now finished), worrying about the EU referendum (now it’s us that’s finished), and slumping down in the evening to watch TV or a film. Accordingly, you’ll have to excuse me if I recycle the theme of my earlier post and jump back into the fascinating world of films about writers. This is a little-known farce that’s interesting precisely because it isn’t about a writer. 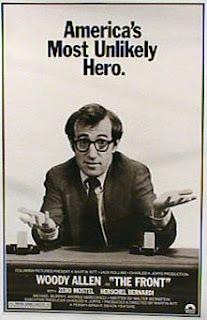 Howard Prince (played by Woody Allen in a rare non-directing role) is a politically apathetic barkeep with an unsuccessful bookmaking racket on the side. But Howard has friends who are writers, and in 1950s America, with communist witch-hunts and the blacklist in full swing, they can’t sell their scripts to make a living. Meanwhile, the TV studios (forced by a culture of fear to toe the McCarthyist line) are starved of good material for their shows. Enter Howard with a simple plan: he will “front” the other writers by pretending to have written their scripts, kicking back the proceeds of the sale (minus his percentage, of course). Naturally, things don’t stay uncomplicated for long, as Howard is quickly intoxicated by both his sudden fame and a beautiful, idealistic script editor played by Andrea Marcovicci. As events escalate, he is investigated by the House Un-American Activities Committee and finds himself forced to take an unlikely political stand. Written, directed by and starring several people who were themselves on the blacklist, The Front was an unlikely vehicle for the first Hollywood film to deal with the communist witch-hunts. Given the weight of the subject matter, it struggles to be truly funny and comes off as more of an amusing drama. But the cast (especially Allen) are great and it’s definitely worth a watch if it pops up on TV in the middle of the night. I’m giving you a two-for-one deal on these films, which I think is appropriate given how closely Hunter Thompson's life and writing were aligned. The first is a Terry Gilliam directed big screen version of Thompson’s signature novel, which for many years was considered “unfilmable.” The second is Alex Gibney’s documentary on the man himself. Beyond the source material, there are considerable links between the two, not least the presence of Johnny Depp. 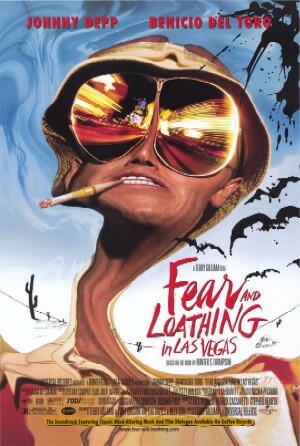 In Fear and Loathing, Depp plays the lead role of Raoul Duke, a thinly-veiled version of Thompson himself. For Gonzo, he acts as narrator, reading from Thompson’s work. Depp is such a Hunter Thompson superfan that he also appeared in a third film adapted from his works called The Rum Diary (which I haven’t seen), and even funded Thompson’s funeral in which the late author’s ashes were fired into the sky from a cannon! For those who have yet to be exposed to its lunacy, the (very) basic premise of Fear and Loathing in Las Vegas is that journalist Raoul Duke has been sent to Las Vegas to cover a motorcycle race, and taken his “attorney” Dr Gonzo along for the ride. But it quickly becomes a quest to find the heart of the American Dream, fuelled by the most excessive ingestion of illegal narcotics this side of Scarface. Terry Gilliam is the perfect choice to capture the visual textures of drug use, and he creates some wonderfully disturbing imagery to accompany the characters' hallucinations. It’s a film that is often riotously funny, providing fish-out-of-water humour as Duke and Gonzo act in violation of all accepted social norms. But the humour gradually pales, with the film turning nastier in its final third. Despite copious voiceover, Fear and Loathing struggles with a story that is utterly dependent on Thompson's voice to succeed on the printed page. Without that, the characters (especially the repellent Dr Gonzo) become more monstrous than they are amusing. 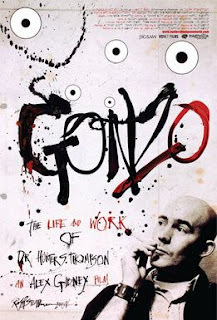 The Gonzo documentary is more successful, indeed how could it not be given such a dynamite central character in Hunter S. Thompson and a background of 1960s America, one of the most turbulent and eventful decades in modern history. Thompson’s canon seems inseparable from the times in which it was written, embodying the central concept of Gonzo Journalism, that the journalist themselves becomes part of the story. The documentary interviews figures as disparate as Ralph Steadman, Jimmy Buffett, Tom Wolfe and Jimmy Carter in its quest to discover what made Thompson tick. The portrait that emerges is of a volatile genius, frequently intoxicated and as happy taking down the system with words as he was letting off one of his many automatic weapons. This apparent paradox - the fiercely patriotic libertarian left-wing dropout - is what fuels the best of his writing. Watching Thompson being interviewed also confirms what lengths Johnny Depp went to in order to capture his voice and mannerisms for Fear and Loathing. Sadly, recent media stories about Depp’s booze-fuelled rages suggest that he may be taking Thompson's life lessons a little too close to heart. Harold Crick (Will Ferrell) begins hearing a voice in his head, narrating his every thought and action. It’s a voice not unlike this one actually, except rather than hack-novelist and occasional blogger Nick Cross, Harold is hearing the voice of reclusive literary superstar Karen Eiffel (Emma Thompson). For her part, Karen doesn’t realise the story she’s writing is about a real person, but she’s very clear on one point: Harold must die at the end of her book. 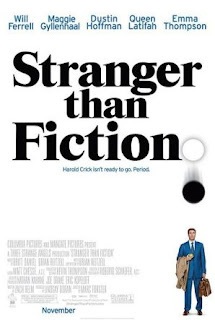 From this clever magical-realist conceit, Stranger than Fiction spins out an amusing comedy-drama which is part character study and part metaphysical “what-if?” Ferrell is surprisingly effective as the repressed, obsessive-compulsive tax clerk who realises he needs to get on with living his life before he dies. The chain-smoking Emma Thompson, meanwhile, portrays one of the most neurotic authors ever seen in a movie, under pressure to deliver her first novel following a ten-year writer’s block. The “death at the end” concept is a brilliant ticking clock that drives the narrative – we simultaneously see Karen’s need to be rid of the book she hates and Harold’s need to persuade her not to kill him. I won’t spoil the ending by telling you who wins! Welcome to the first post-Twilight movie about writing. Mavis Gary (Charlize Theron) is a wildly successful, wildly self-hating writer of packaged YA fiction, struggling with the final volume of her Waverley Prep series. Mavis’s career choice (the film implies) has stunted her emotional development and left her in a state of permanent adolescence, even as she careers towards 40. Her absorption with teenage matters is so pronounced that she embarks on a delusional quest to win back her childhood sweetheart, despite the fact he is happily married with a new baby. Like Grosse Pointe Blank, the film is especially good at evoking the experience of returning to your home town after a long absence and finding yourself baffled both by what has changed and what hasn’t. Aside from an amusing scene where Mavis tries to sign books against the store’s wishes, the writing aspect of her life is mostly presented as an ironic voiceover. This is a clever device, with Gossip Girlesque romantic prose juxtaposed against Mavis’s increasingly unhinged real life campaign to reclaim her sweetheart. With its borderline psychotic lead character, Young Adult is not a film designed to give you the warm and fuzzies. But this defiantly sour and uncomfortable movie does offer a few laughs, and a kernel of truth about the human condition - even if I’m not convinced by its central thesis about children’s writers! R.L. Stine (Jack Black) has a magic typewriter. You may recognise this trope from Ruby Sparks, which featured in my previous round-up. But Stine’s typewriter doesn’t manifest an attractive manic-pixie girlfriend. Instead, it spews forth all manner of frightening (but PG-friendly) monsters. Stine’s absence from the publishing world since his 90s heyday was not, it turns out, because he had flogged the Goosebumps concept to death. No, he needed to protect his now-teenage daughter from the horrors he had unleashed. No prizes for guessing that said horrors are quickly unleashed again to terrorise a sleepy Delaware town. 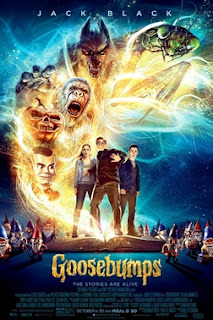 Goosebumps the movie is equal parts 80s & 90s nostalgia (hello Gremlins!) and modern meta-snark. Jack Black gives a terrifically deadpan performance as Stine – he somehow manages to be hilariously funny just by looking serious and disapproving throughout. But it’s a double triumph, as Black also gets to unleash his wacky side by playing the voice of his nemesis, Slappy the evil ventriloquist's dummy. The film is sometimes a bit over-stuffed, throwing every Goosebumps monster it can find at us, but better too much ambition than too little! I didn’t realise that this was about a writer when I sat down to watch it. But look, there’s Amy Schumer’s character (imaginatively named “Amy Townsend”) working for the most appalling men’s magazine possible, under the frightening stewardship of alpha female editor Tilda Swinton. The whole movie is structured (somewhat shambolically) as a voyage of discovery, in which Amy learns how to do grown-up stuff like having a monogamous relationship and writing from the heart. But the paper-thin plot is excused by the fact that it’s frequently very funny and because the characters are completely adorable. Amy Schumer, in particular, exhibits genuine vulnerability in the lead role, to the extent that I wanted to step into the frame, give her a hug and be the decent father figure she never had. So there you have it – seven more fascinating films about writers. It’s an eclectic mix, though poor Misery missed out again because I didn’t have time to rewatch it before the deadline. Another notable omission was Crimson Peak, a film where the main character is a writer, but it seems to be merely a convenient character device to set the plot in motion and is then forgotten for much of the film. Until next time (when I’ll have to come up with a new idea), happy viewing! 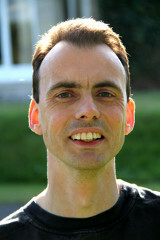 Nick Cross is a children's writer and Undiscovered Voices winner. 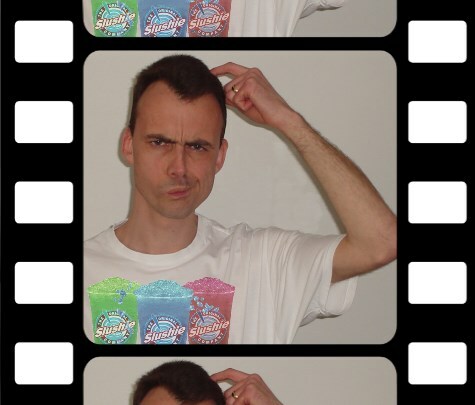 Nick's writing appears in Stew Magazine, and his most recent story is The Man Who Bought the World in issue 14. Nick received a 2015 SCBWI Magazine Merit Award, for his short story The Last Typewriter. I've only seen The Front and Goosebumps. Goosebumps was great fun. I don't think I could really see The Front as a comedy after what happened to Zero Mostel's character! I recommended the film to my Yer 12 class when we were studying The Crucible. Have you seen Trumbo? That one was great!